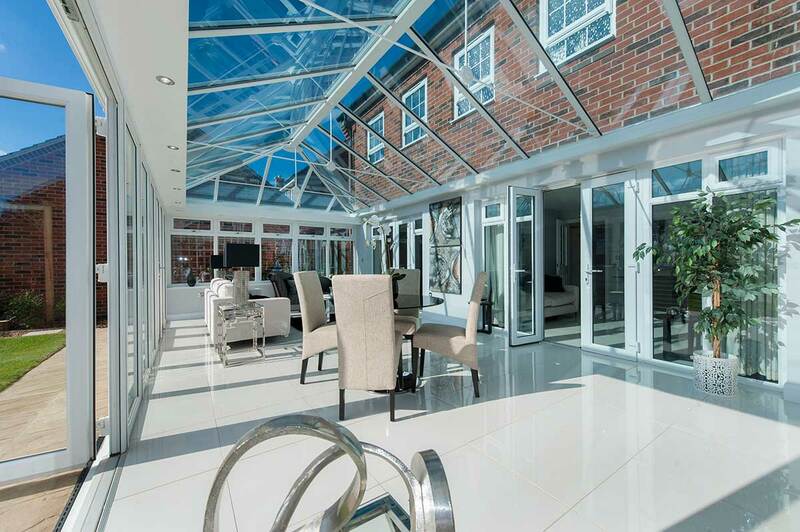 We are a dedicated installer of the stunning Synseal Global Roof, one of the industry’s most compelling conservatory roofs. 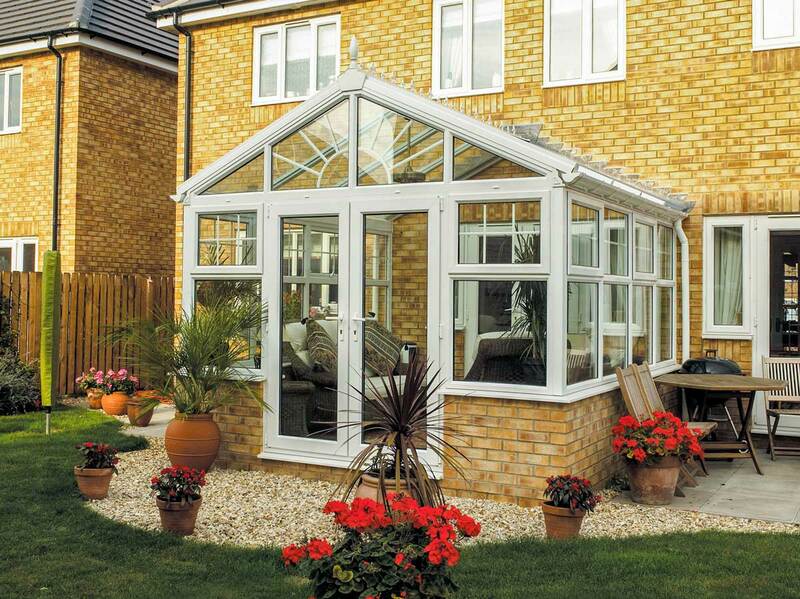 Reach out to our specialists and complete your extension with the finest double glazing. Join our many other customers throughout Chigwell, Loughton, Wanstead, Woodford, Romford, Essex and beyond, and benefit from modern manufacturing. 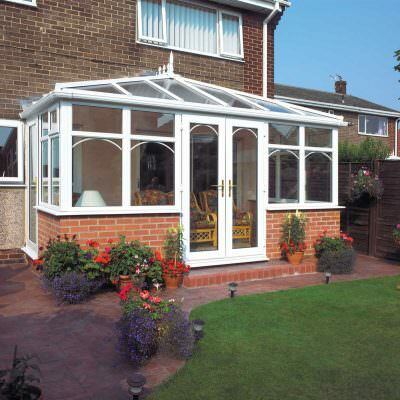 Enjoy long-lasting and energy efficient conservatory roofs. Personalised for your exact requirements. Premium profiles from industry leaders. Installed by our very own in-house team. Designed with security & longevity in mind. Specifically built to be thermally efficient. Whilst we utilise the incredible Deceuninck profile in the body of our conservatories, we decided that our conservatory roofs needed special treatment. 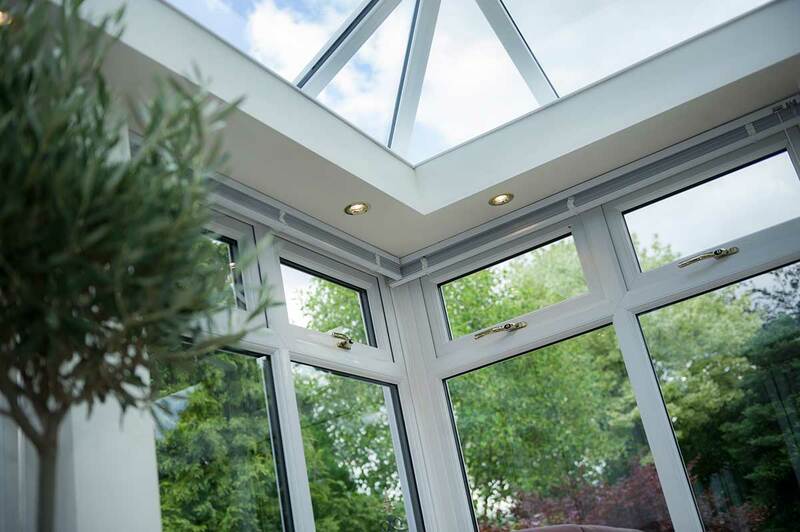 Arguably the most important part of any extension, our Synseal Global range fits the profile with optimum energy efficiency and durability. 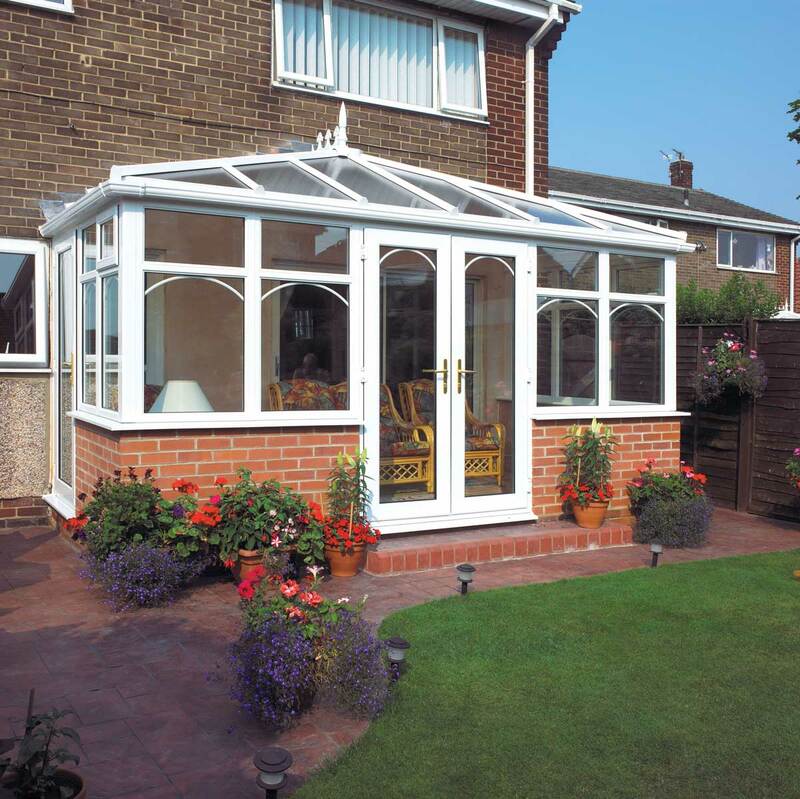 The Global Roof utilises extruded uPVC and injection moulded products which have been crafted with the latest manufacturing techniques. Our talented in-house installation team has been trained in the fitting of these particular products, allowing for a swift and efficient turnaround. 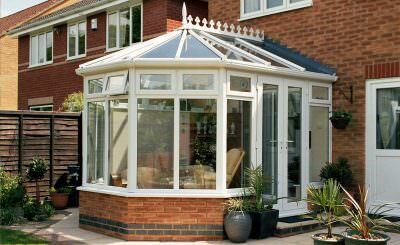 Our conservatory roofs also boast impressive structural performance and will outperform competing solid roofs in strength and longevity. Having been proven to withstand up to 310kg of weight placed upon 780mm x 1800mm of glazing, these products will impress all year round. This is further bolstered by the many impressive features of the Synseal range of conservatory roofs. The three-piece glass kit holds your glass panes secure in between wedge teeth, and the patented concealed gaskets keep the product looking the part. With box-gutter fixing plates, M8 fixing bolts and a host of other fantastic features, you can rest easy underneath your modern masterpiece. 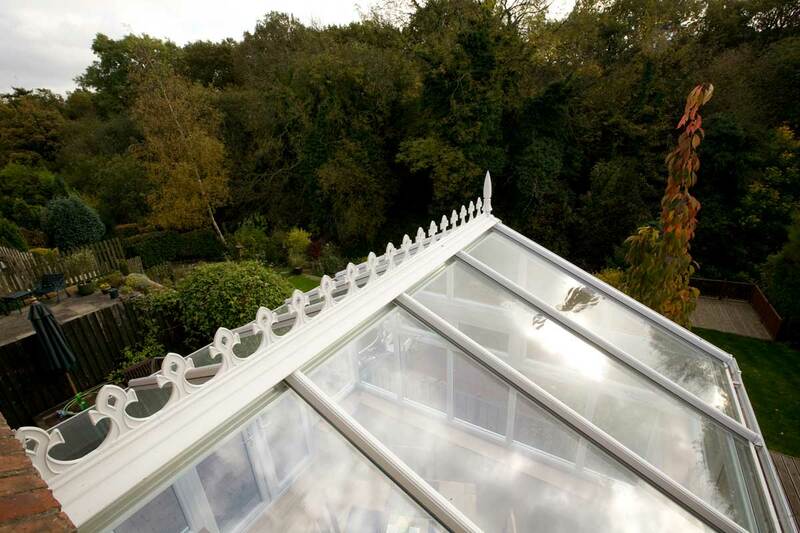 Of course, we also understand that the most important part of glazed conservatory roofs lies within the glass itself. Is it durable? Is it customisable? Is it as good as a solid roof? The answer to all of these is yes. 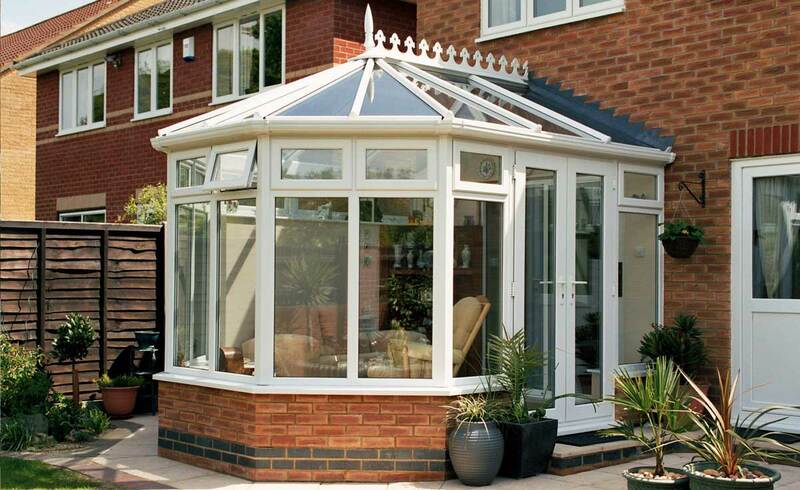 There are many reasons to choose Homeglaze conservatory roofs. 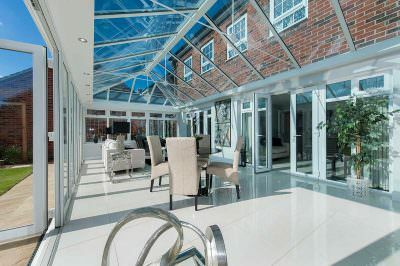 Starting with the choice of glass or polycarbonate, your glazing can then be customised to allow an incredible amount of sunlight into your new extension. This opens up your home beautifully, can be tinted in one of several colours from Blue to Bronze, and is sure to impress your visitors. 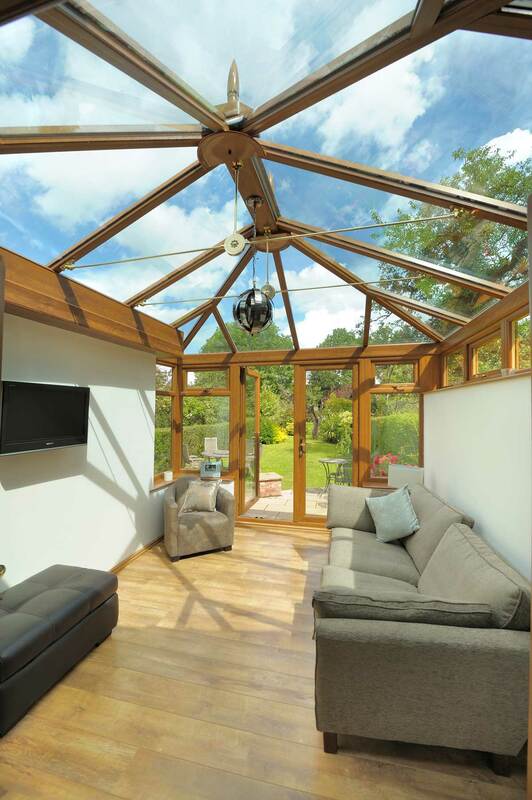 We also utilise the impressive characteristics of low E glass, a product line that is covered in a microscopic metal coating that traps heat within the room. This provides up to 33% more insulation than conventional insulating designs and serves to reduce your energy bills as you warm your home naturally. It’s not just the glazing that can be customised, however! 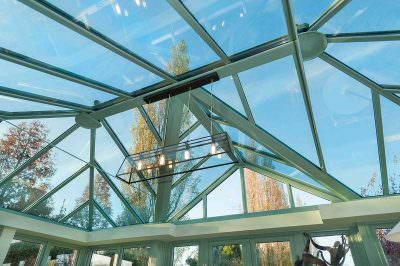 The colour revolution has taken a firm hold of products throughout Europe over the past 20 years, and we proudly showcase a number of ways to personalise the frames of your conservatory roofs. Enjoy the traditional woodgrain effects of Golden Oak, Cherrywood or Mahogany. Alternatively, choose White or Black for a more modern aesthetic. 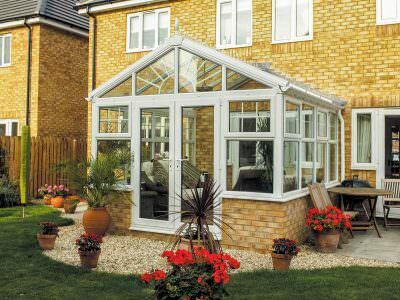 Here at Homeglaze, we consider ourselves one of Essex’s leading installers of conservatory roofs. Don’t just take our word for it though! We are an accredited home improvements specialist, recognised officially as a Which? 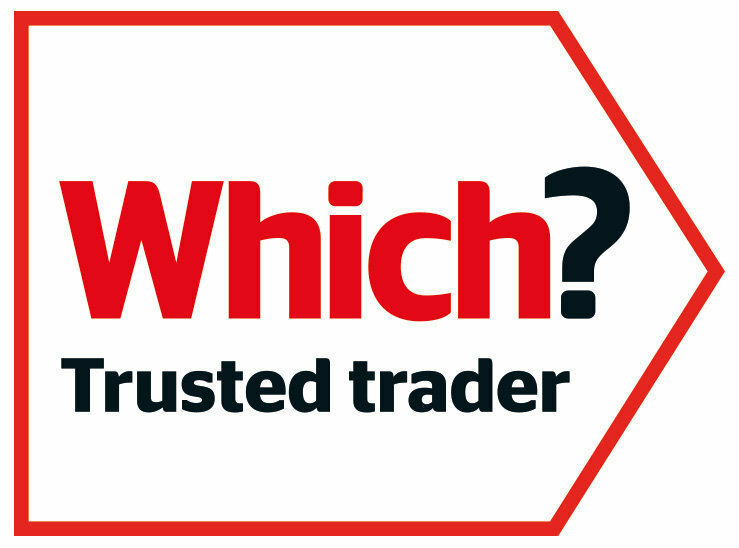 Trusted Trader for our devotion to high quality double glazing. We then took this one step further by being voted as the ‘Which? 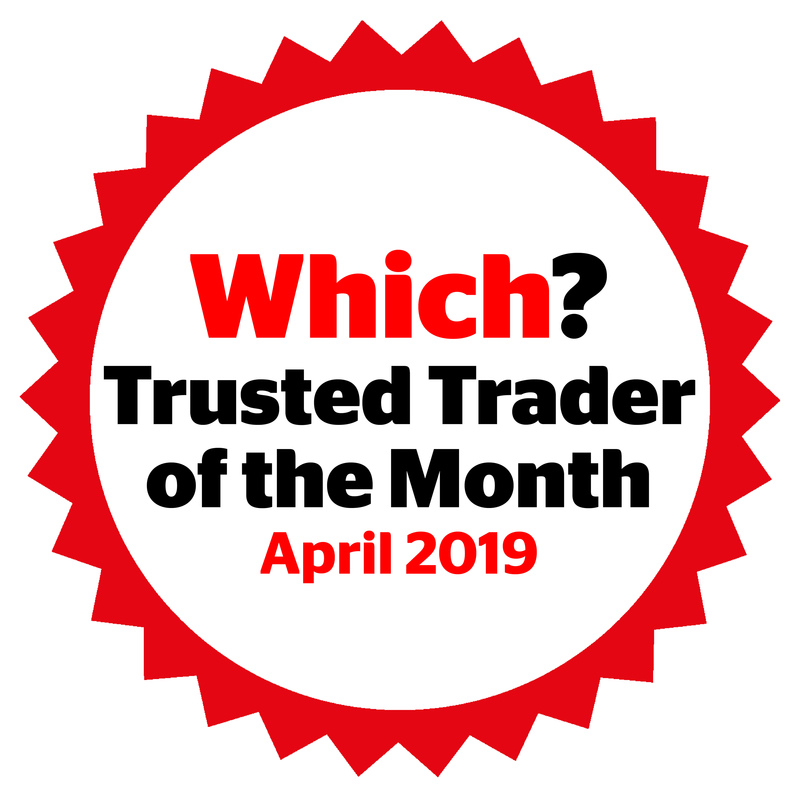 Trusted Trader of the Year’ in 2017, an accolade that we are still proud of to this day. We earned this official award by outperforming 8000 competing home improvement specialists. 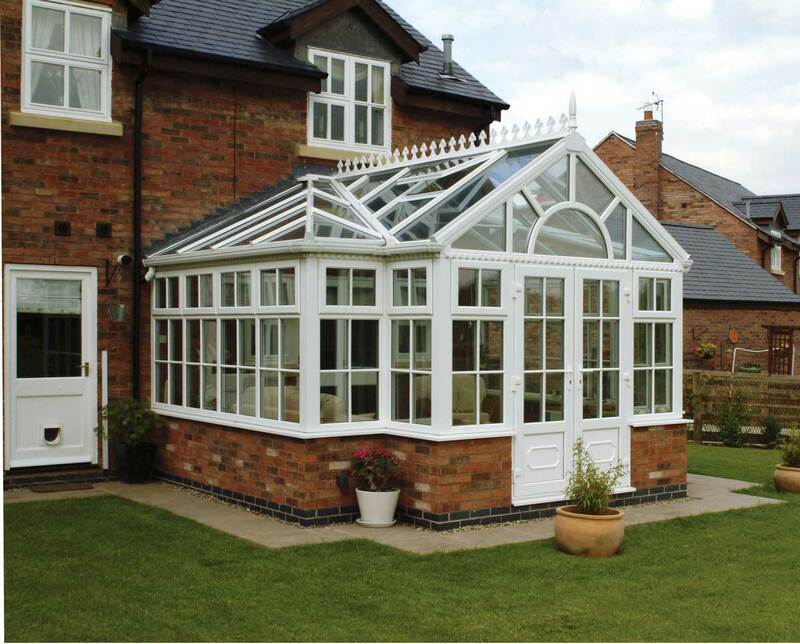 Who better to fit your new conservatory roofs than an award-winning supplier and installer? This fantastic honour only proves that we are one of the finest specialists in the area. We are similarly FENSA accredited, further showcasing just how dedicated we are to consistent quality. 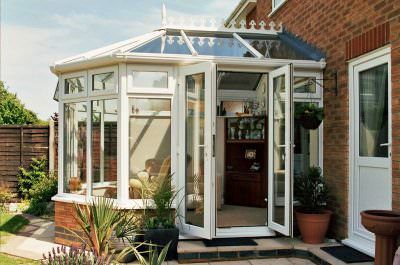 As you can see, there are a whole host of features and benefits that make the Global range of conservatory roofs well-suited for any home extension. Allow Homeglaze to complete the project of your dreams. If you have any further queries about our products or would like a more in-depth description of how we do what we do, then get in contact with our specialists by calling us up on 020 8502 7560. You can also submit a request to us in writing if you would prefer. Head on over to our online contact page to find our contact form. One of our specialists will get back to you as soon as possible. On the other hand, if you would prefer to get an immediate quotation without any fuss then we recommend checking out our online quotation engine. This will generate a bespoke price, just for you.